So I decided to pull it, and spent the best part of six months picking through it, again in isolation, although at that point, I think I had joined the SF/F Chronicles, an online science fiction and fantasy community, where I picked up some stuff that certainly helped. What I came out with at the end of that period was a draft someone would feel comfortable putting before a publisher. 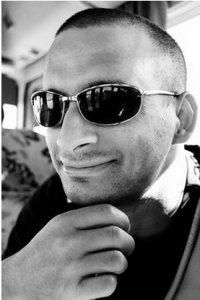 My decision not to seek a publisher was pure pragmatism, and one that proved correct financially. I then rereleased it. This time, it didn’t just do okay, it rocketed, no pun intended considering the novel’s subject matter. At the height, I was hovering around eighteenth in SF on Amazon’s Top 100 List and that was in the company of traditional publishers, self-published authors, and everything between. I was full of beans. I was selling better than many of my heroes of literature. Sales were at over one hundred a day. For a while, I was earning far more than I was from my job. I paid off a car loan and had money to spare. The reviews were pouring in at a rate of several a day. (I have only “come out” to a couple of people who know me in person as an author, so those reviews were genuine ones.) The general theme was still the same, people loved the story, they loved the subject matter but hated the editing. So after a few months, I thought, fine, I’ll use some of this cash and get an edit done. I got it done, updated the file, and let it roll for a bit longer. I was still getting overwhelmingly positive reviews, yet still had comments of typos and grammar mistakes. This frustrated me. How could I still be getting these when I’d had it tidied up? Turned out, the majority of my readers are in the States. There are a surprising number of subtle differences between UK English and US, which is also the international standard. My thought process at the time was screw em, I AM English, I’ve got it on my author page that I am, so they know it and should accept it. In other words, they can put up with it. At around this time I got approached by two publishers, Tantor, who wanted to publish my book as an audio book, and Tickety Boo Press. So I negotiated with Tantor and got a reasonable advance and royalty rate from them. I didn’t feel particularly disadvantaged by not having an agent to do it. Then I responded to Tickety Boo Press. Two things about them perked my interest. One was that my edit would be done by Ian Sales, who would bring some SF pedigree to proceedings, then it would get Americanized with a US editor, all on Tickety Boo’s tick. 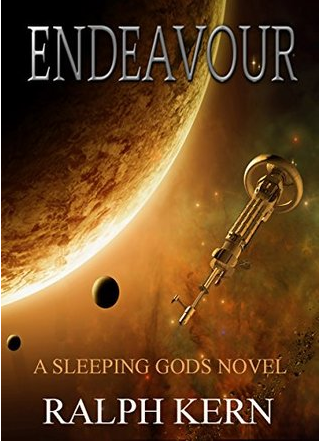 Endeavor, book one of the Sleeping Gods series, has been compared to A.C. Clarke’s Childhood’s End and has been on 7 Amazon Top 100 Lists. Since we first looked at the stars, there has been a silence, no signs of alien life, no one who has tried to speak to us, a mystery that a long dead scientist called the Fermi Paradox.